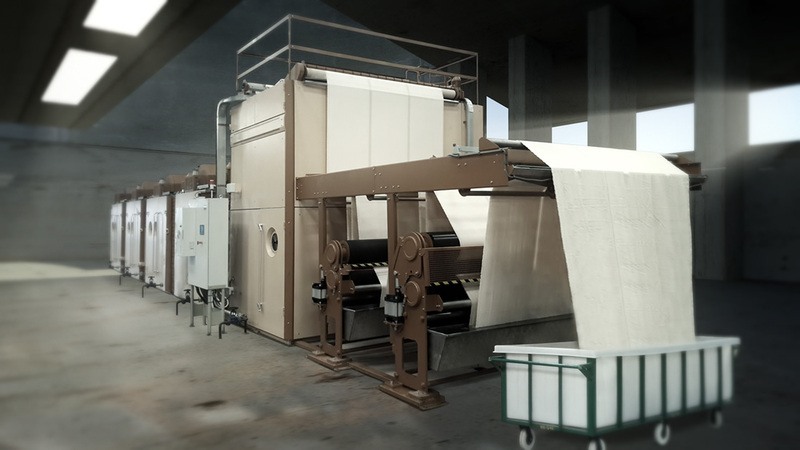 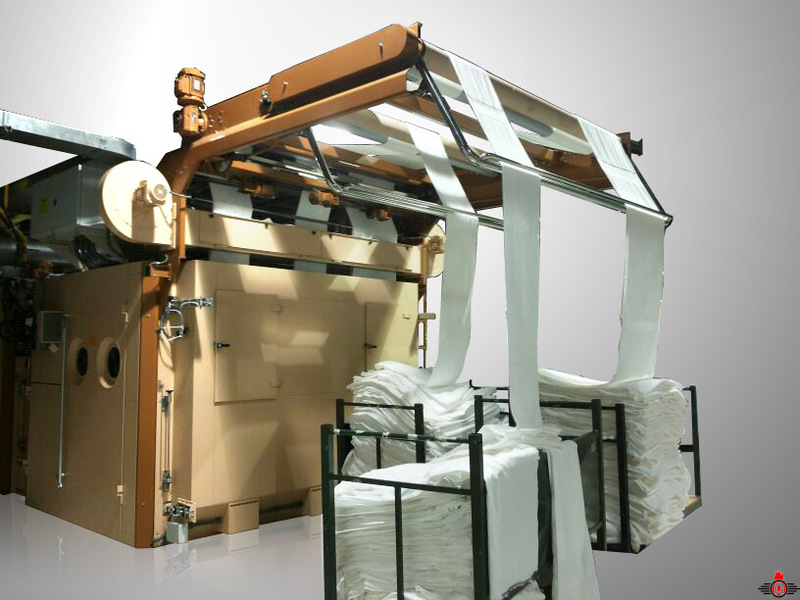 The TURBANG TMS machine is a continuous tumbler for all kinds of fabric width. 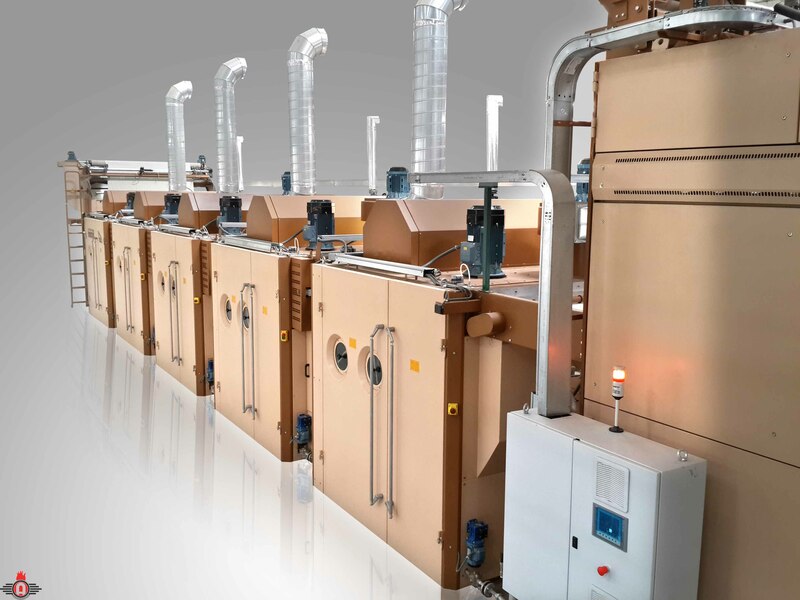 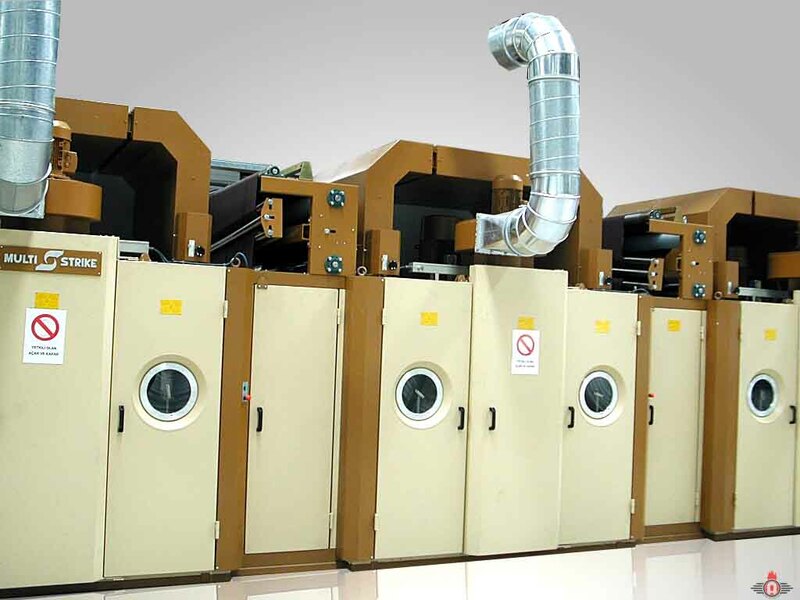 It includes double drying capacity, substantial increase in softening capacity, softening capacity intensity regulator and interchangeable softener devices. 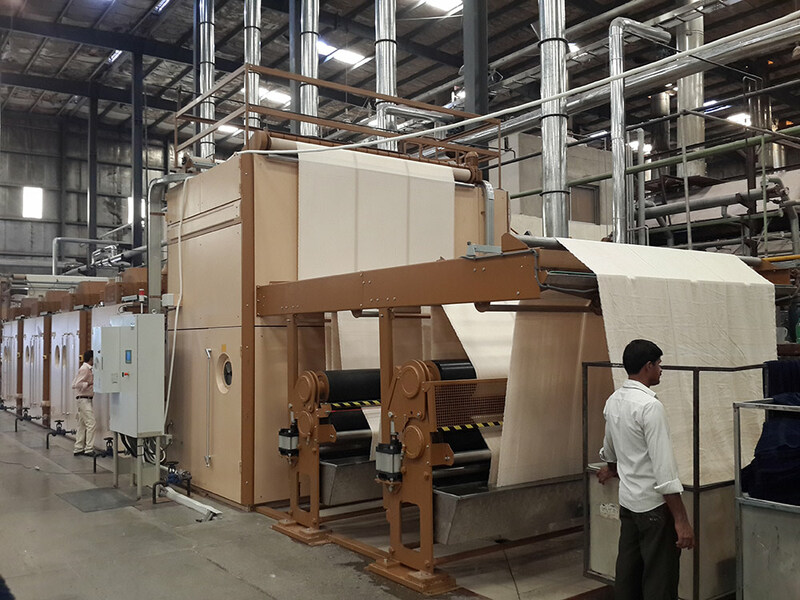 The main feature of this model is intensive processing on both sides of the fabric.